Have you ever had the chance of watching a potter with his wheel, in his village, and learning the craft from him, first-hand? Or to sow seeds with farmers and listen to their stories? How would we city-bred people, know these simple joys though? While the cities are racing ahead in the game to be more metropolitan and cosmopolitan than the other, we are losing touch with our roots — India's villages. But there is one entity that realises this horror and is doing their best to connect young, urban children to rural masses. Enter, Dirty Feet. 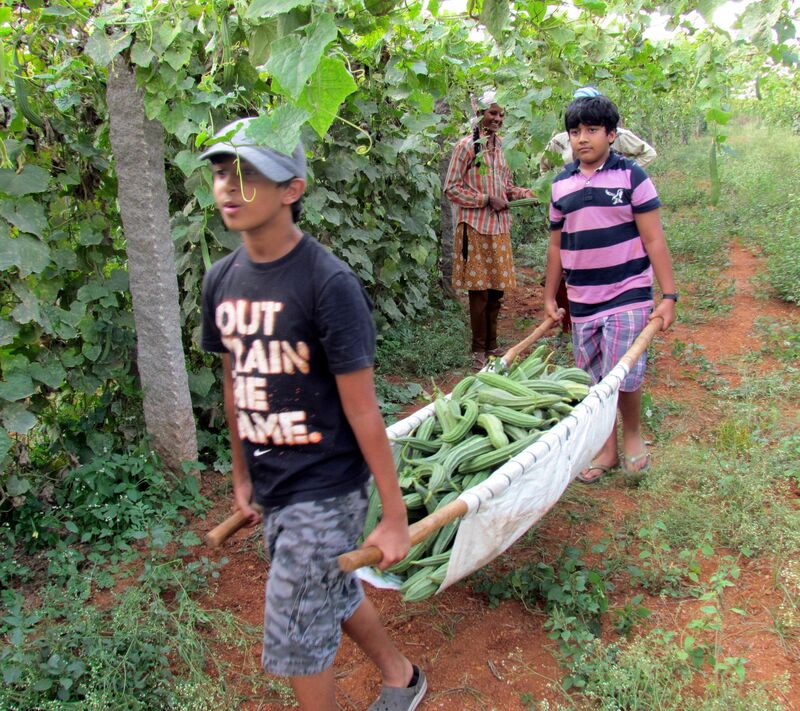 Directed towards children, this initiative takes the young on short trips across rural Telangana and offers them an opportunity to interact with artisans, farmers and other rural folk. Is the idea of a village romanticised or is this kind of exposure a need we don't know we want yet? Let the founder of Secunderabad-based Dirty Feetanswer that for you. "The idea of being a global citizen is blown out of proportion and it is not rooted in reality anymore. We are so cocooned in our gated communities and so are our youngsters. From their AC buses, they go to their AC classrooms and hang out in AC malls for entertainment. But the real fun is not costly, it's very simple actually," says Nivedita Mummadi who started Dirty Feet back in 2011. Real fun, she says, is a trip down to the nearest village and living the lives of the people there. The onus of providing these kind of experiences to children falls on us, "Kids are like literally like sponges. They lap up and absorb whatever we offer and hence, the right kind of exposure and environment is a crucial part of their growth," she opines. Mummadi is an alumnus of Institute of Rural Management Anand, founded by none other than the Father of the White Revolution — Verghese Kurien, and passed out in 2003. 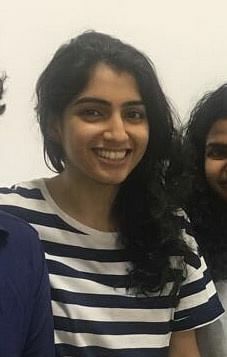 Since then, she has been working in the development sector and has worked with survivors of trafficking and children born in difficult circumstances while working with NGO Sanlaap, worked for Tsunami-affected communities with the Aga Khan Foundation and has freelanced for national and international NGOs as well. So she knows what she is saying when she tells us, "We all tend to visit villages with the mindset of uplifting them rather than understanding what they require." So what do they want, we ask. "They want respect and appreciation for what they do. Which is why potters or farmers want to educate children and get them jobs that will keep them away from their kind of life," she informs. 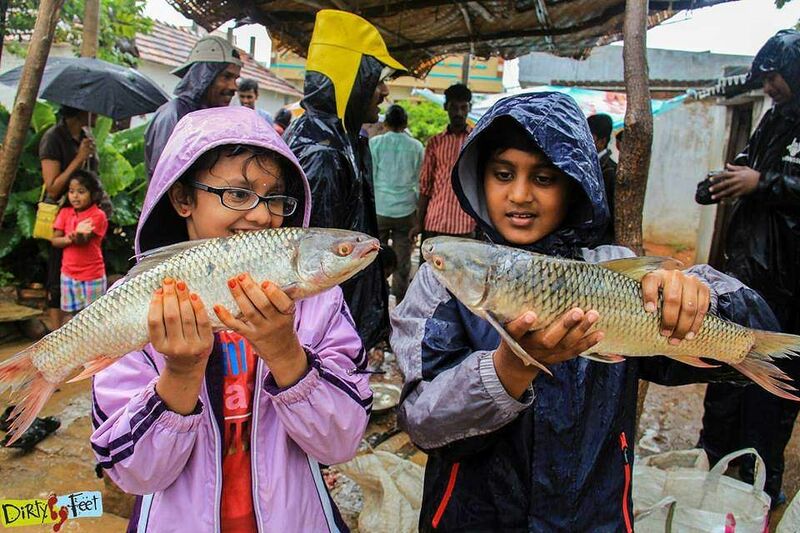 So from the very beginning, Mammadi was clear that Dirty Feet won't be a nature-based or adventure-based initiative, but will simply connect youngsters to rural communities. "The rural folk get a platform for knowledge-sharing which builds their confidence in their skills and craft. They realise that what they are doing is right and that they don't need to ape the city blindly. It even adds to their livelihood," she explains. In fact, she shares instances of how every single time students visit these artisans, they are in awe of what they see. And right at that moment, it doesn't matter that the villagers can't speak English, are covered in mud or where they live, all that matters to the youngsters is the skill. This often prompts them to ask, 'If they are so skilled, why do they earn so less and live like this?'. When they express their wonder and appreciation to the villagers, the latter are flabbergasted. In fact, many rural folks conveyed to Mummadi how they have never been appreciated like this before. Sounds like a win-win situation to us. A lot of groundwork went into designing these trips, getting community members on board to play host and gaining the trust of students, parents and schools. Now, after conducting 350 events and establishing themselves, Dirty Feet is still trying to explore new avenues and conduct more trips. And for all those thinking how children, who are nowadays hooked on to the screen all day, fare on these kinds of trips, here is the answer. "Kids are just so full of energy that they dive into the tasks headfirst," exclaims Mammadi. Take Potter's Gully, for example. 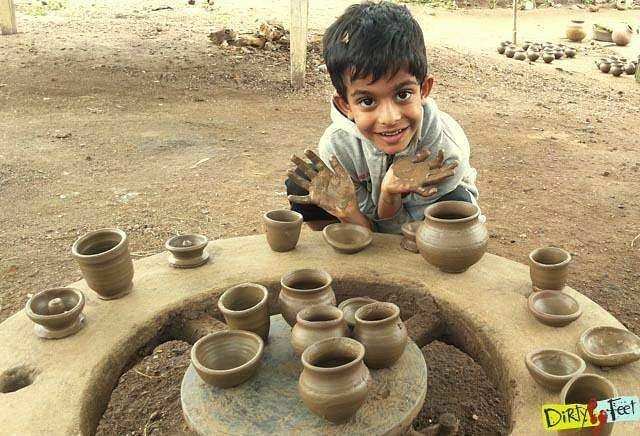 In this trip, children don't just meet potters, but understand intricacies of pottery like getting the mud from river beds, the consistency of mud, how to shape the mud on a wheel and everything else. They slowly start to understand the science and the economics behind it as well. They understand how to bake earthenware and how traditional recipes are cooked in it. They play games like matka phod, pot races and more. They even listen to traditional music played on instruments made from earthen pots. Think of it as a 360-degree education on pottery. And that is just one of their trips. 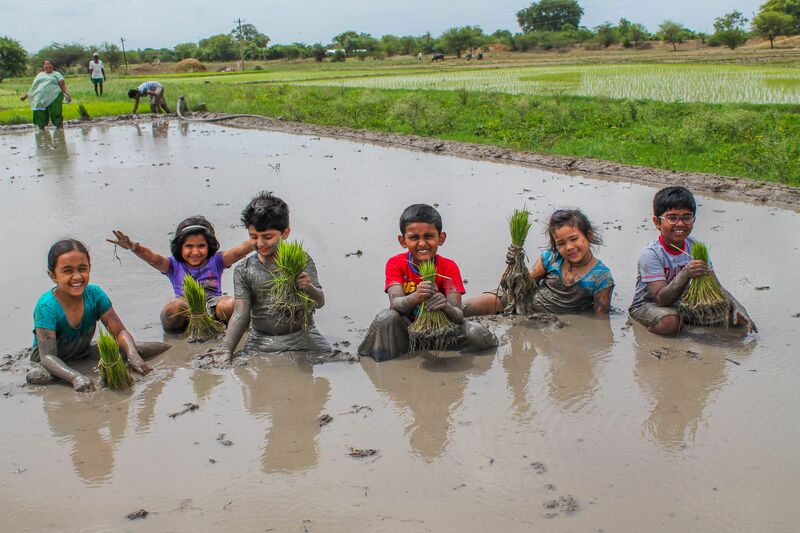 Animal farm, Colour with Nature, Sugarcane Trip, Bamboo Trail, Miracle Millet, Hidden Treasure, Vegetable Trips and even one trip solely for potatoes called Aloo Chor — these and many more are the kinds of trips that DirtyFeet organises for young ones. They target children so that their younger, impressionable minds can be exposed to a different kind of life which will hopefully make them more conscious in the future. "Whatever they decide to be tomorrow, they will definitely be more rooted, empathetic and able future leaders and citizens of this country," says Mummadi. Very recently, Dirtyfeet started conducting trips for adults as well. The condition? "That they have to become children again," Mummadi says and laughs because it is the children who open up to experience and don't hold back. So, are you ready to bring out the child in you and get your feet dirty?